The restaurant Garden of the Tiglis, being situated also in the particularly green and airy zone, it has ample rooms, intimate and comforting, entirely climatizzate. You/he/she is specialized for nuptial receptions, parties, banquets, parties' meetings, social suppers and meeting with possibility of music with dance on application. The ample garden ago from frame to the place and it entertains the guests with the sideboard of the appetizers rich in warm and cold stuzzicherie and cocktail of welcome. The regional typical kitchen allows our guests to taste the delicious dishes of the ancient tradition "Piedmontese." And, to this tradition that you/they are apparently owed flat "luxurious" as the mixed fry that as strong dish offers him on the tables of our restaurant today. And anchor, the fresh pasta, from the potato dumplings to the tajarins, the risottis and the to vary some stuffings of the ravioles, from the meat, to the mushrooms to every kind of vegetable that, wise, it follows the rhythm of the seasons. There is besides the meat of the cattle of Piedmontese race, the boiled mixed served with different sauces the delicious bagged, the game of lowland and mountain. Place of honor is reserved to her "it bathes cauda", heated mixture on the stove of oil, garlic, salty anchovies and you mince, where carrots are dipped, celery, pepper raw and other vegetables. And then the cheeses, from the toma to the Murazzano, from the raschera to the bruss, from the Castelmagno to the robioles, from the Bra to the cheeses "home". And finally the white hypocrite of the Langhes, the more jewel of the tubers, able to raise from a dish of tajarin to the butter or from an egg scondito. 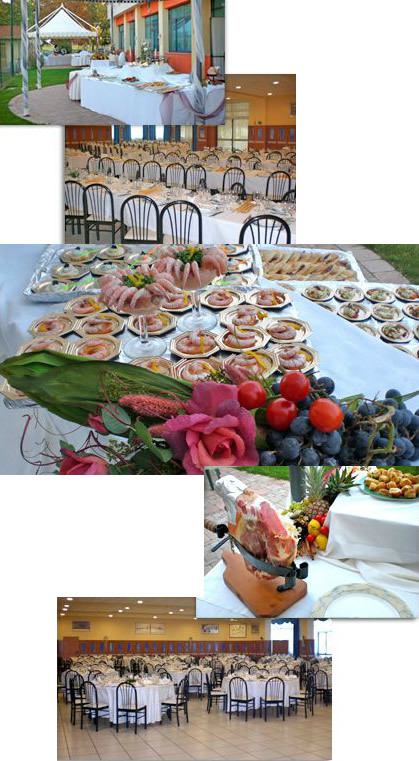 All gastronomic prelibatezzes accompanied with wines d.o.c. Piedmontese only to the world. Among the sweets we remember the bonet, delicious pudding to the prepared chocolate with crumbled macaroons, then bigné and Chantilly, with full of cream, zabaione and whipped cream, cake to the filbert.